When we have more than one switches on hand we often seek to a better way in making use of them and managing them. There are mainly three technologies that we might use when we interconnect or combine several Ethernet switches together, which are switch stacking, cascading and clustering. For many people that firstly get in touch with these terms, they can’t figure out the differences between them. Some discussions of the switch stacking versus switch clustering and switch stacking versus switch cascading have been put forward, but a comprehensive comparison between them has not been made. So this post is a discussion of switch stacking vs cascading vs clustering. The comparison of switch stacking, cascading and clustering should be based on knowing the meaning of these technologies. So firstly we will see what switch stacking, cascading and cluster are. What Are Switch Stacking, Cascading and Clustering? Switch stacking is a technology that combines two or more switches together at the backplane typically via a specialised physical cable (stack cable), so they work like a single switch. The group of switches form a “stack”, and it requires a stack master. There’s also virtual stacking, where switches are stacked via Ethernet ports rather than stack cable/module. In such scenario, switch stacking vs cascading seems to be much similar. The port density or the switch capacity of a stack is the sum of the combined switches. For example, when you cascade two 24-port switches, you will get one large 48-port switch when it comes to configuration. And all the switches in the stack share a single IP address for remote administration instead of each stack unit having its own IP address. Only stack switch is able to be stacked together. 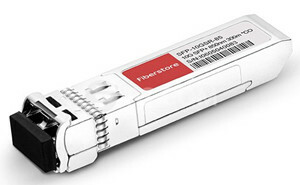 And it should be noted that, when the switches are stacked, there is no need to connect switches in the group via copper or fibre port besides the stacking ports, because the stack logically is one switch. It is like connecting 2 ports together on the same switch, which can cause loop. By cascading more than one switch you can have multiple ports interconnecting each of your switches in the group. But they are configured and managed independently. Switches that are cascaded together should all support Spanning Tree Protocol (STP), in order to allow redundancy and to prevent loop. Generally, switches of any models or from any manufacturers can be cascaded. But it does not rule out the cases that two switches can not be cascaded. A switch cluster is a set of switches connected together, whether through common user port or special ports. One switch plays the role of cluster command switch, and other switches are cluster member switches, which are managed by the command switch. In a switch cluster, only one IP address is needed (on the command switch). Not all switches can be clustered. Only specific cluster-capable switches from the same manufacturer can be clustered. And different manufacturers may use different software for clustering. Where it comes to switch stacking vs cascading, the most obvious difference is that only stackable switches can be stacked while almost all switches can be cascaded. And the stackable switches are generally of the same model or at least belonging to the same manufacturer. In a switch stack, the port capacity is the combination of all the member switches and the bandwidth is also the sum of all switches. But by cascading switches, the bandwidth will not be increased. There’s even possibility of congestion at the cascade ports if you have only one connection between each switch. The stack is managed as a whole. When you configure one switch, the change will be duplicated to every other switch in the stack, which is time-saving. However, in a switch cascade, you have to manage and configure every switch separately. Stacking has a maximum number of stackable switches that you can have in a group. For example, you can connect up to four FS S3800-24F4S or FS S3800-24T4S in a stack. The switch cascading has a limitation on the layers that you can have, which are usually the traditional three layers topology: core, aggregation and access. When the limitation is exceeded, there might be problems of latency and losing packet. Stacking and clustering are very similar in that a stack or a cluster both use only one IP address, and member switches are managed as a whole. So when you want to simplify the management of multiple switches, both stacking and clustering are technologies that can be adopted. Stacking might be a bit easier to configure since the stack can automatically recognise new stack member, while in a cluster, you have to manually add a device to be the switch cluster. The management of stack members is through a single configuration file. Cluster members have separate, individual configurations files. So the management by a stack master is complete on every stack switch, but the cluster command switch is the point of some management for all cluster members. The distances between clustered switches can be more flexible. They can be in the same location or they can be located across a Layer 2 or Layer 3. But stacked switches are in the same layer and generally they are located in the same rack. Only virtual stackable switches can be placed in different locations. After reviewing the discussion of switch stacking vs cascading vs clustering, you may find that the three technologies have the similarity that switches in a stack/cascade/cluster group need to be physically connected. Some are through common Ethernet ports, while some are through special stack ports. Cascading has the minimal requirements on the switch model, while both stacking and clustering require the switches to be stackable/cluster-capable, and are of the same model or at least from a single manufacturer. Stacking and cascading are based on hardware implementation while clustering is based on software implementation. The management of a stack is the most complete of the three. This entry was posted in Enterprise Network and tagged network switch, Switch Stacking vs Cascading, Switch Stacking vs Clustering on December 7, 2017 by Serenity Huang.